Award recipient Lizzie Meek with Committee Member Ursula Rack. © Wolfgang Rack. Scott and his men celebrate mid-winter dinner, 1911. Photo Herbert Ponting. Captain Robert Falcon Scott’s 1910-1913 expedition is notable for its scientific achievements and the tragedy that befell the Polar Party. On 22 June 1911, Scott celebrated his last mid-winter dinner with his men. 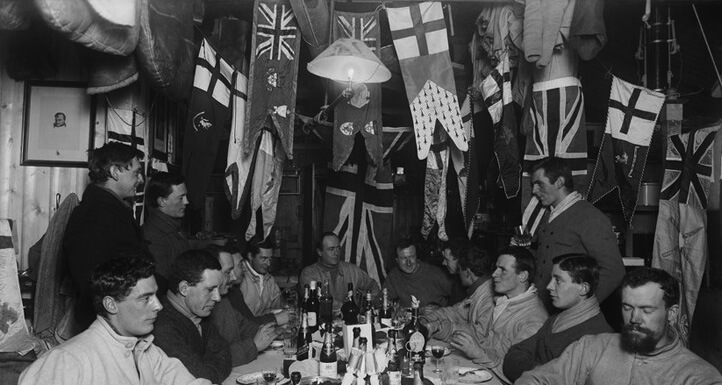 Little did he know that this dinner was to mark a tradition that continues to this day both at New Zealand’s scientific facility, Scott Base, and throughout New Zealand via the Society to honour those who spend winter on the Ice. The conservation trophy, a miniature emperor penguin, is awarded by the Society to a person or organisation that has contributed significantly to any aspect of Antarctic or sub-Antarctic conservation. This includes the preservation of flora, fauna, historic buildings, sites and artefacts and the preservation of natural features of Antarctica and the sub-Antarctic area. Previous recipients have included individuals who took part in New Zealand work parties to conserve the Ross Island historic huts, and staff members from Antarctica New Zealand and Antarctic Heritage Trust. (See recipient list). The trophy was carved by Christchurch sculptor Patrick Mulcahy in African walnut and donated to the Society in 1971 by Peter Voyce. 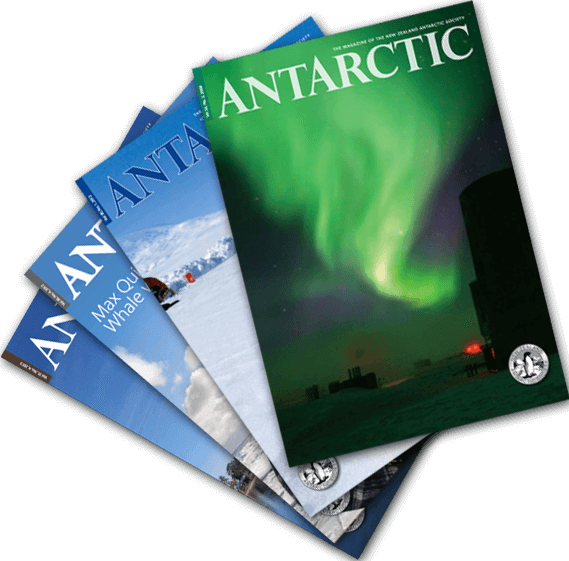 The Society recognises with life membership to the Society, those people who excel in furthering the aims and objectives of the Society, or who have given outstanding service in Antarctica. They are elected by vote at the Society’s Annual General Meeting. The number of life members can be no more than 15 at any one time. Meet our past and present life members.